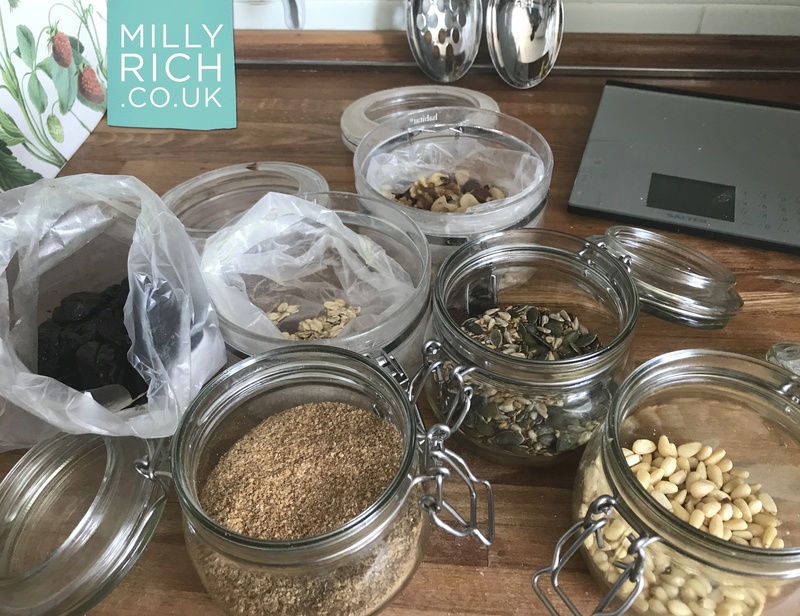 Milly Rich | Vitamins, another waste of time in my opinion! 14 Aug Vitamins, another waste of time in my opinion! I believe vitamins are expensive wee! I don’t think people should take vitamin pills unless they are deprived of proper nutrients, a bit like the sailors who used to travel for months on board ships and suffered from scurvy due to lack of fruit and veg. I think I am perfectly fine without them and so are most people if they eat a balanced diet. I’ve survived 99 years without resorting to vitamins. It’s just a way to encourage people to spend more money, there is no point in them, what isn’t used is passed out thus making for very expensive wee. This is my breakfast, prunes, porridge, wheatgerm, seeds, pine kernels and mixed nuts. The scales is my daughter Shula’s, she weighs everything, I trust my own eye. Milly was born in 1917 and lives 'in the now' (informed by history). She is a fashion designer, conchologist, company director and inspiration for Waking Beauty Sleep System. Life long beauty? What are your views? I’m Shula – Milly’s daughter. Milly died naturally aged 100 October 2017. Why do women take another name if they get married? Sign up to Shula's newsletter for her latest blogs at naturalbeautybrains.org.